A farmers’ co-operative is an independent organization of farmers who pool their resources for mutual benefit. Farmers have formed such co-operatives around the world ever since agricultural produce became commodities traded on exchanges. Co-operatives strengthen farmers’ bargaining power, help them survive volatile markets and reap the benefits of cooperation. 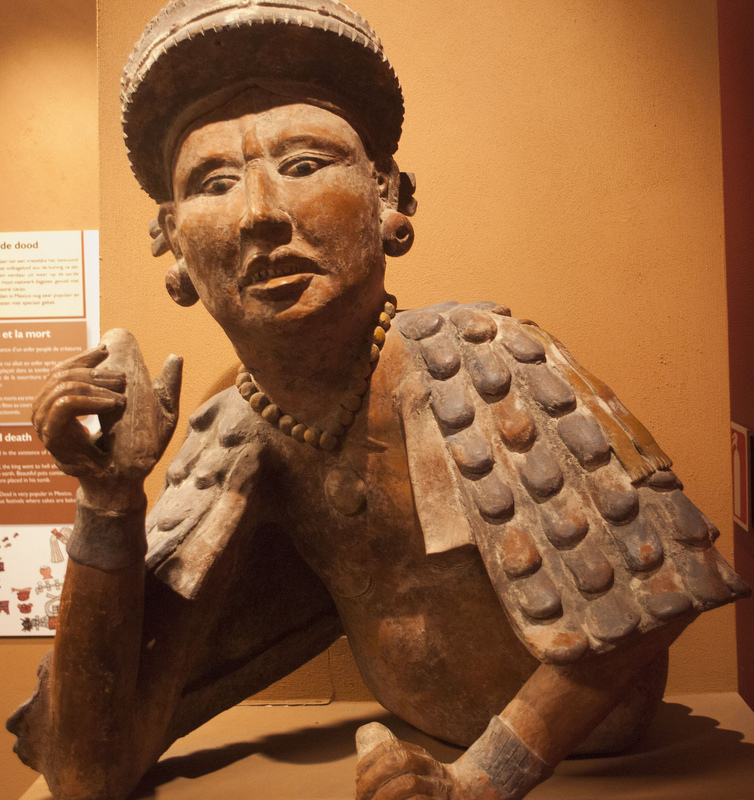 Cocoa farmers around the world were no exception. 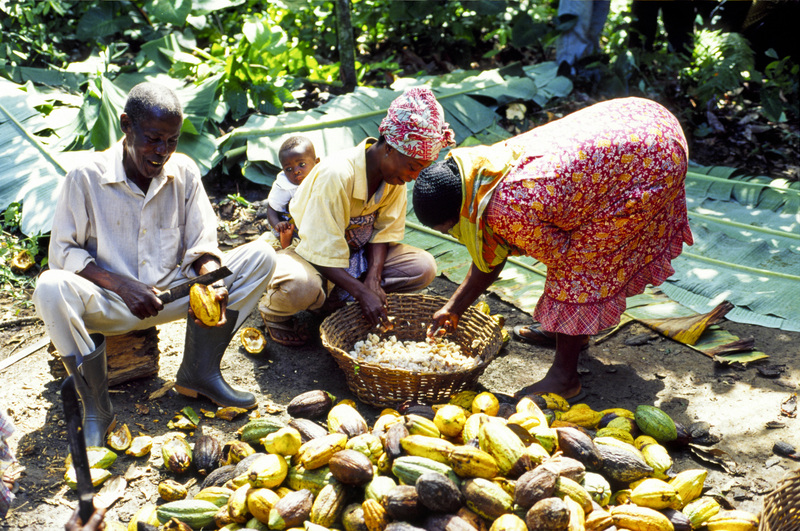 When the mass production of cocoa began in West Africa around the end of the 19th century, farmers in Ghana, the Côte d’Ivoire and other countries formed farmers unions and co-operatives to help each other with the physical labor required to clear brush, plant trees and, most importantly, to deal with the colonial authorities. Strikes and protests against low prices and lack of extension services were common during the first half of the 20th century. Today’s fair-trade co-operatives are simply the most recent incarnation of that long-standing organizational form. Fair-trade co-operatives play a significant role in connecting farmers with consumers along the fair-trade commodity chain. 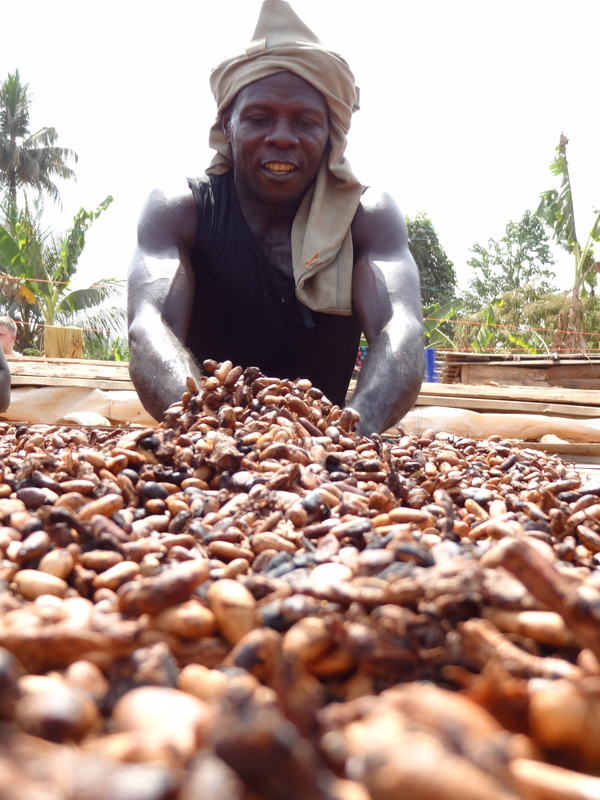 Their primary tasks are the collection and storage of cocoa beans before export, the provision of extension services, the provision of credit, and the distribution of the fair-trade and social premiums. How they do this varies according to the circumstances. In Ghana, cocoa is king. 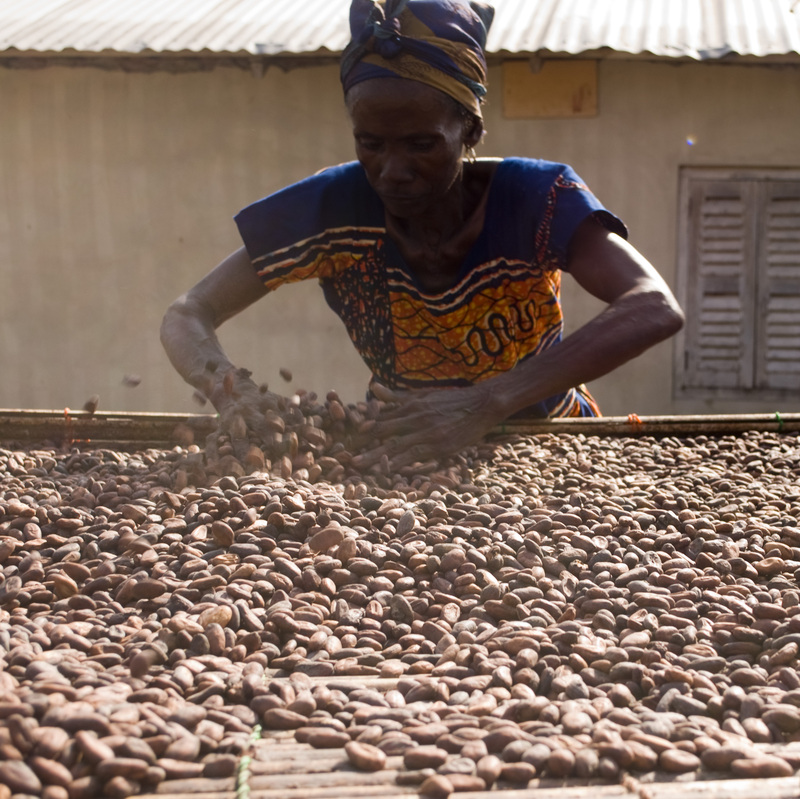 It’s the most important export crop for the country and the Ghanaian government manages many aspects of the crop through the COCOBOD, the Ghanaian Cocoa Board. COCOBOD is the sole exporter of cocoa from Ghana, which means that all cocoa farmers have to sell their crop to the board. 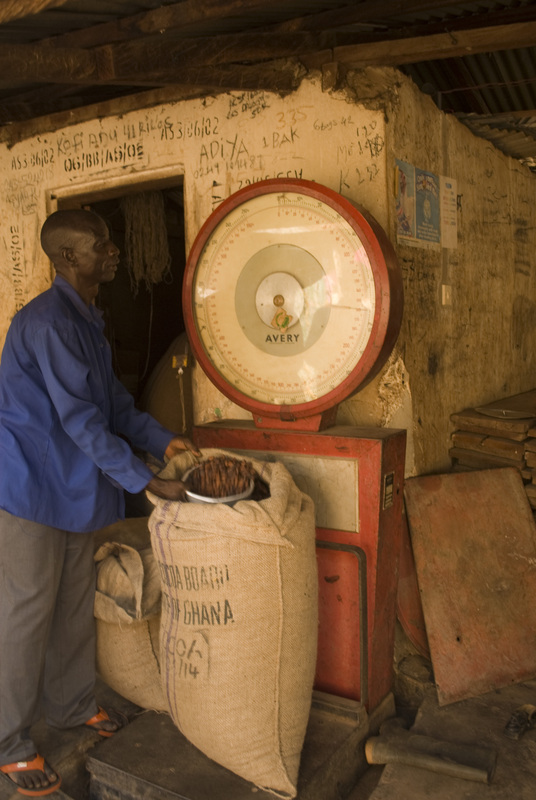 Since the reforms of the 1990s, the process of selling cocoa to COCOBOD has been liberalized and private produce purchasing companies buy the beans from farmers and sell them to the board. The threat of being exploited by unscrupulous middlemen was one of the key reasons Kuapa Kokoo was formed. 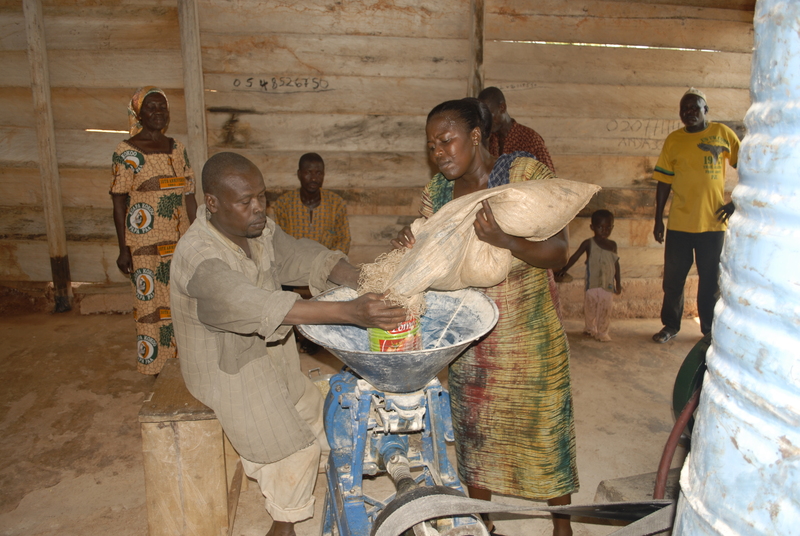 The cooperative serves as a produce purchasing company that connects the farmers to the COCOBOD. Since Kuapa represents its 65,000+ farmers, the farmers can rest assured that they are paid the legally set price. 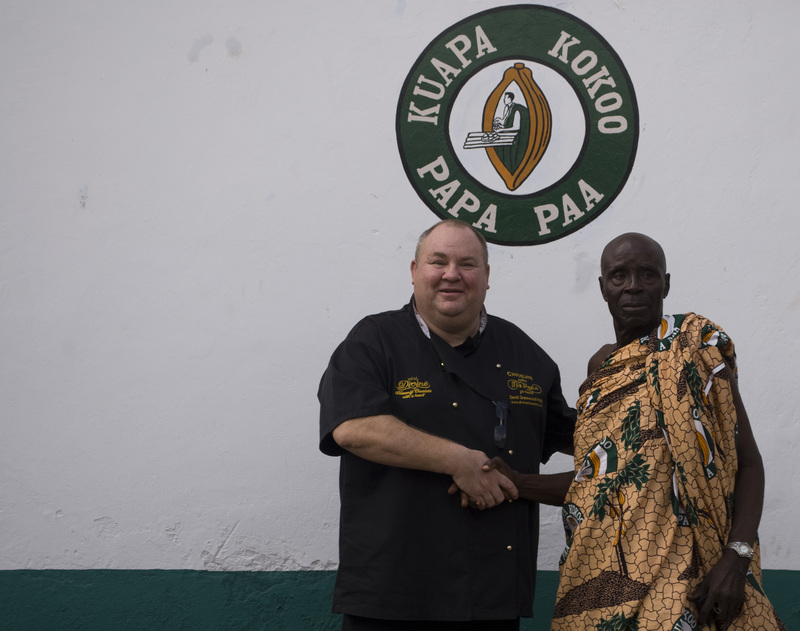 Cocoa farmers in Ghana join Kuapa Kokoo as village societies. This isn’t odd because in the cocoa belt, entire villages are engaged in cocoa production. 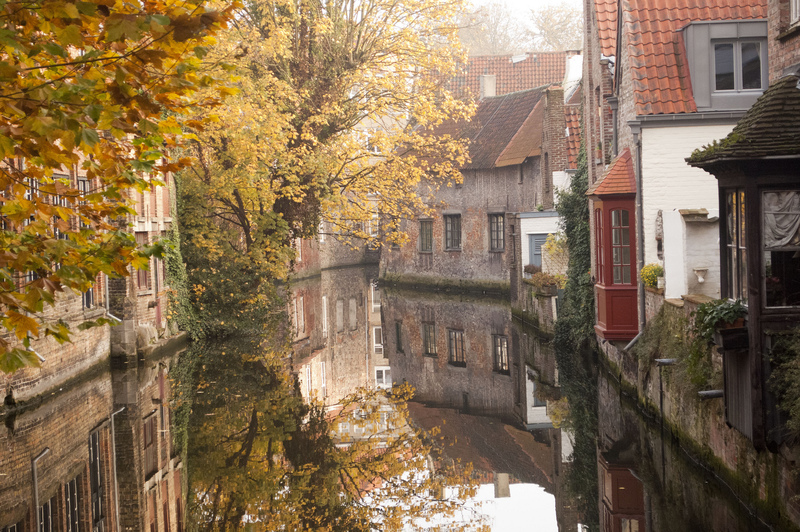 Each village society has elected representatives that serve at the district and national level, representing their local members. Those same representatives also are responsible for paying the local farmers for the cocoa they deliver to the collection centers. Kuapa Kokoo also distributes the social premium paid to farmers through the Kuapa Kokoo Trust. Individual village societies apply for funds from the trust to finance community projects like schools, water pumps etc. Cocoa farmers in southern Belize represent just a small fraction of the farming population. Citrus and other produce are bigger crops than cocoa. Members of the Toledo Cocoa Growers Association, live scattered among the villages of the Maya mountains in southern Belize. 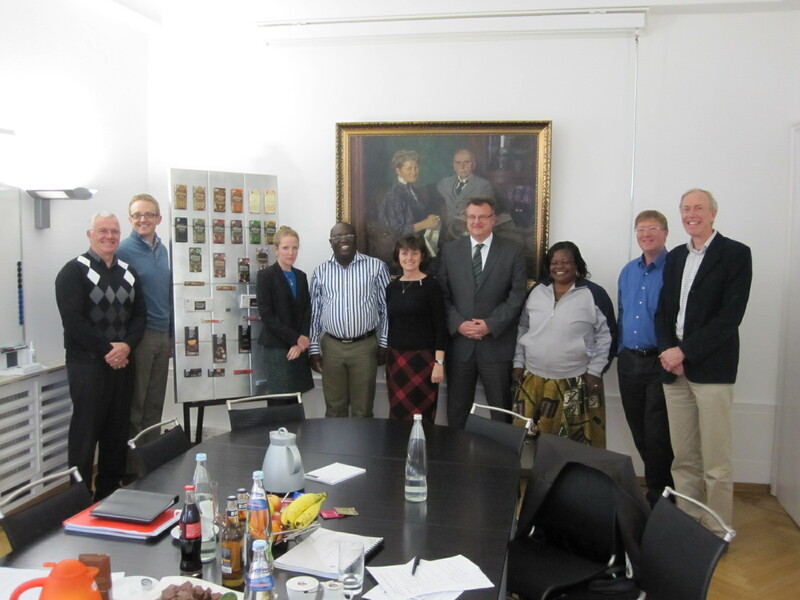 Like its counterpart in Ghana, the TCGA represents its members to the cocoa buyers. Unlike in Ghana, there is no government marketing board, so the cooperative sells directly to the buyers. It also pays the farmers from the proceeds. When it comes to the social premium, however, the TCGA follows a different methods. 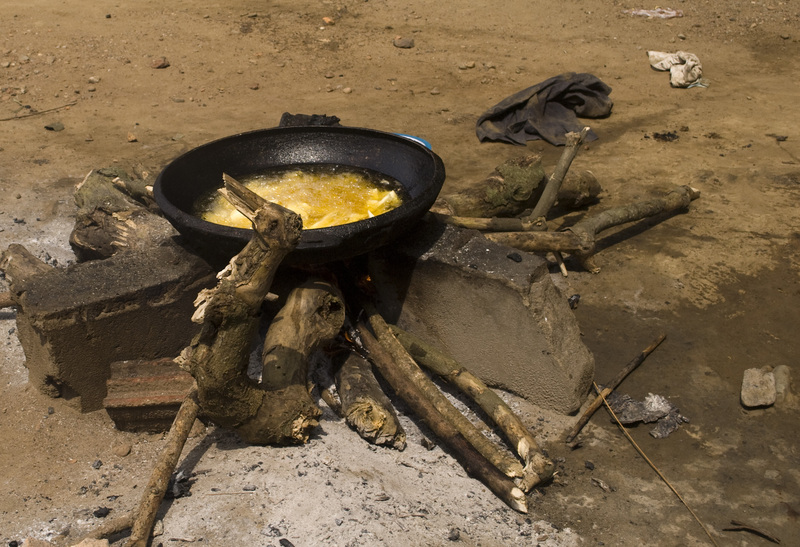 Since there are no village societies, the funds are used to create infrastructure that benefits all coop members, for example common facilities for drying the cocoa after fermentation to insure quality. 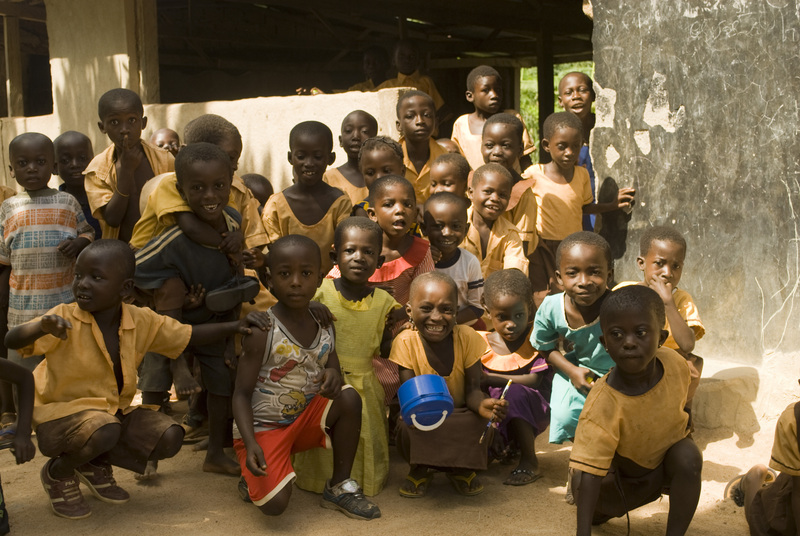 The social premium also supports a scholarship fund for the children of cocoa farmers. The TCGA also provides extension services and helps farmer produce the best crop possible. Finally, the TCGA deals with issues of land tenure. 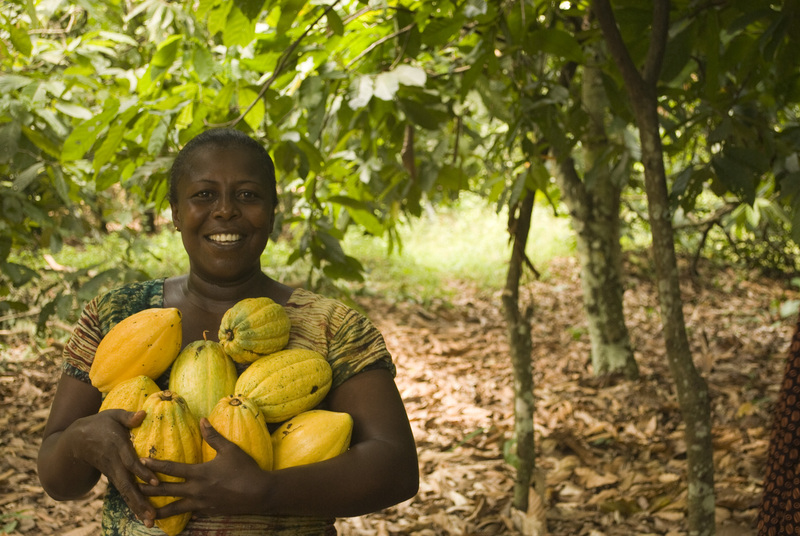 Given that cocoa is a long term investment for farmers, security of tenure is crucial. But Maya traditions of communal land ownership can at times become a problem and the TCGA helps farmers negotiate in those conditions. Farmers’ co-operatives are flexible organizations. The two examples above show how their structure and activities reflect the unique circumstances farmers face in different parts of the world. The common theme, however, is that they do what they do at the behest of their members and are therefore homegrown organizations that help give farmers a voice. As the Brand Manager for Divine Chocolate USA, I recently had the incredible opportunity to visit the farmers of Kuapa Kokoo for the first time. 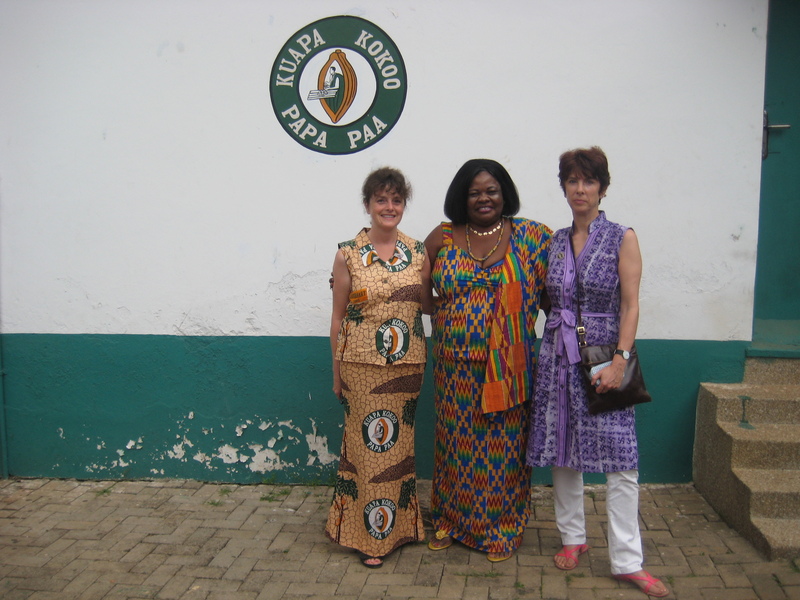 Divine USA and Divine UK were both holding their Board meetings at the Kuapa Kokoo headquarters in Kumasi, Ghana and I was able to come along. Before heading to Ghana, I made a pit stop in London where I was able to meet the trailblazing staff of Divine Chocolate Ltd. who I’ve been in touch with since the beginning of my work with Divine in Washington D.C. It was great to finally shake hands with the folks who I’ve been in touch with via phone and email for so long! I took some notes of several of the special features they had in their office that we could replicate in our own, such as the incredible spread of all of our flavors at the reception desk, and a conference room surrounded by posters and products from years past to inspire the many meetings and brainstorming sessions that occur in the Divine Headquarters. After a crisp morning walking along the River Thames and one last photograph of Tower Bridge, I flew to Accra with the Divine Board of Directors, where we would have a short stay before heading to our final destination: Kumasi. 10 of us piled into a van in Accra and soon got stuck in some incredible traffic! Sitting in traffic did, however, provide us with the opportunity to be a captive audience to the vibrant scene of street merchants, church-goers, and soccer fans. 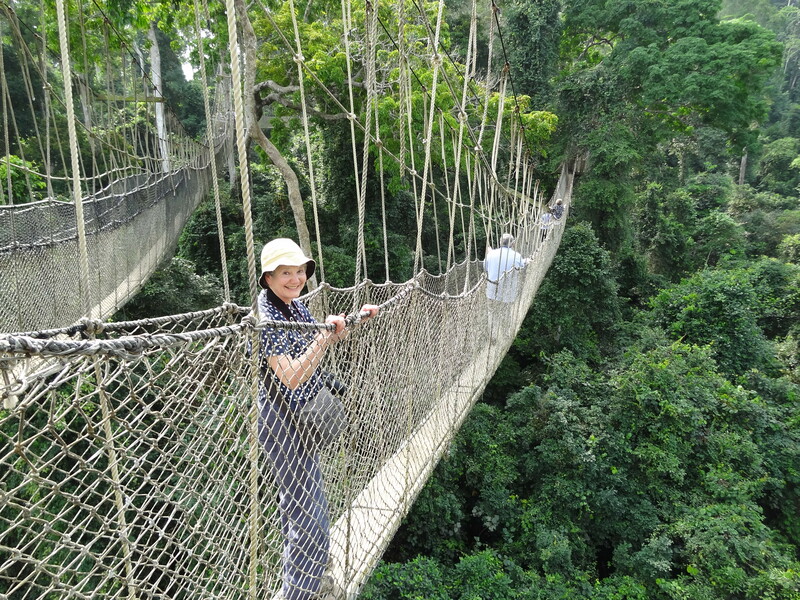 We were then off to the canopy walk above the trees of Kakum National Park. But first, we had lunch at an outdoor restaurant that was surrounded by a lake of crocodiles. 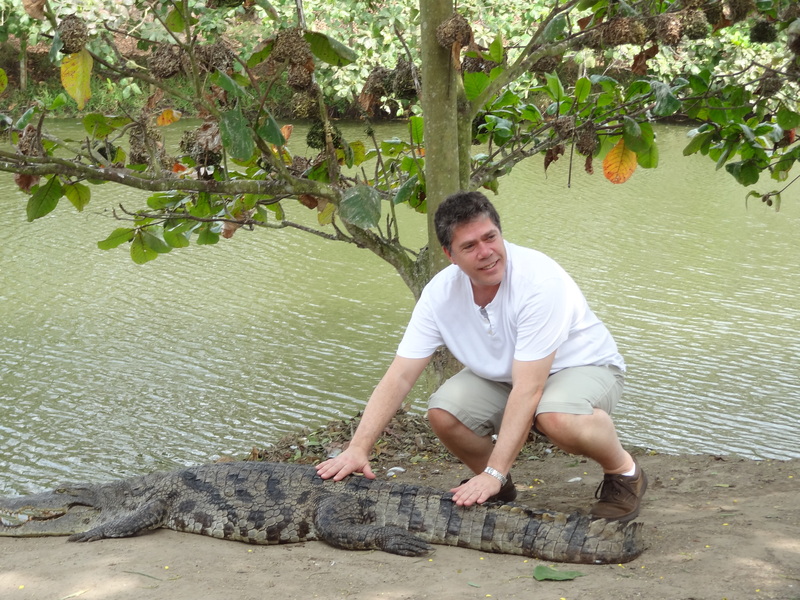 And for those of us brave enough, we had the opportunity to touch a crocodile lazing under the trees. Kakum National Forest was established in 1960 and covers 375 square km in the Central Region of Ghana. Its highlight is the Canopy Walkway, made up of 7 different bridges towering above the forest floor. It was a once in a lifetime experience to cross the canopy, and the 10 of us were thrilled to get this unique look at the landscape in this region. The morning after arriving in Kumasi, we met at the Kuapa Kokoo offices where the staff gave us an overview of their key projects and introduced us to Esther, who would be our guide for the day. We headed about an hour outside of the city to the Awaham Society in the Effiduase District. 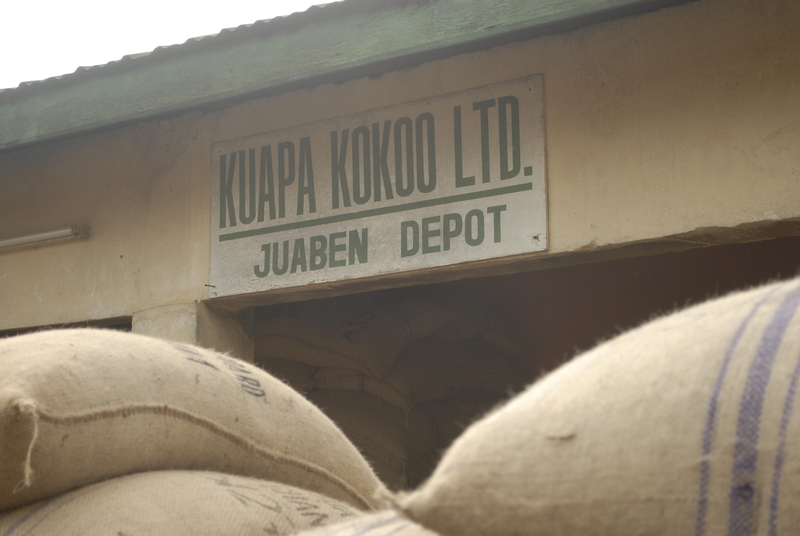 We first stopped at the Juaben Depot, where the district manager showed us a warehouse piled high with cocoa sacks fresh from the harvest. We gathered under a tree at Awaham Society, where we met some of the key leadership and listened to questions and feedback from farmer members of Kuapa Kokoo. Awaham Society was first a sub-society, and after working hard for 5 years, they become a full society in 2005. They spoke about the benefits of membership in Kuapa: a 2 Cedi (the Ghanaian currency) bonus on every sack of cocoa this season, new machetes, and credits for agricultural inputs that have improved yields year after year. 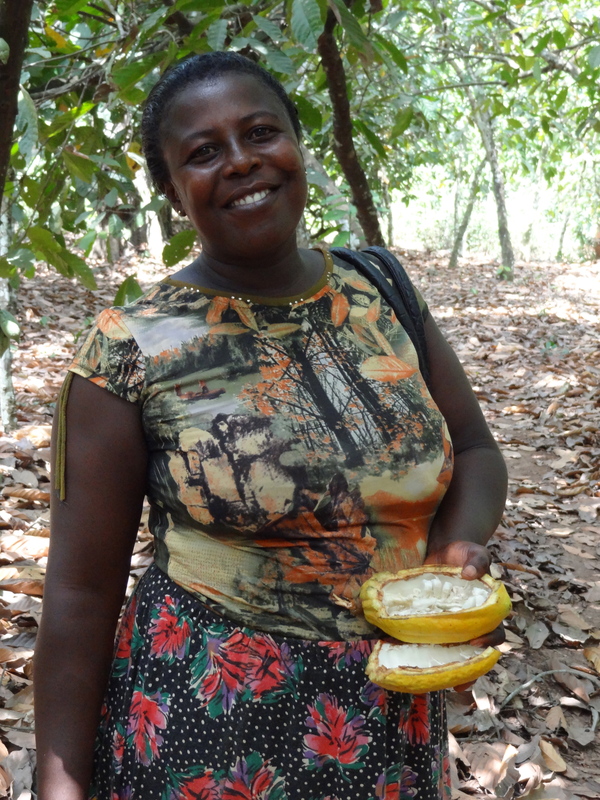 Everyone headed into the cocoa farm of Executive Member Juliet Brago, who showed us her beautiful land filled with cocoa pods and interspersed with avocado trees and other grand shade trees that kept the cocoa plants growing strong. 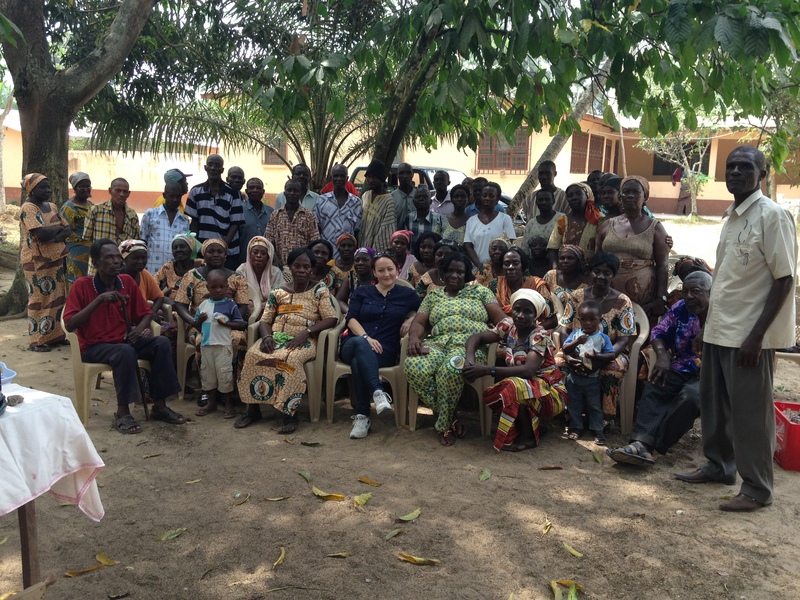 We also visited the 12 acres of Mr. Anare Mensah, the oldest member of the society. 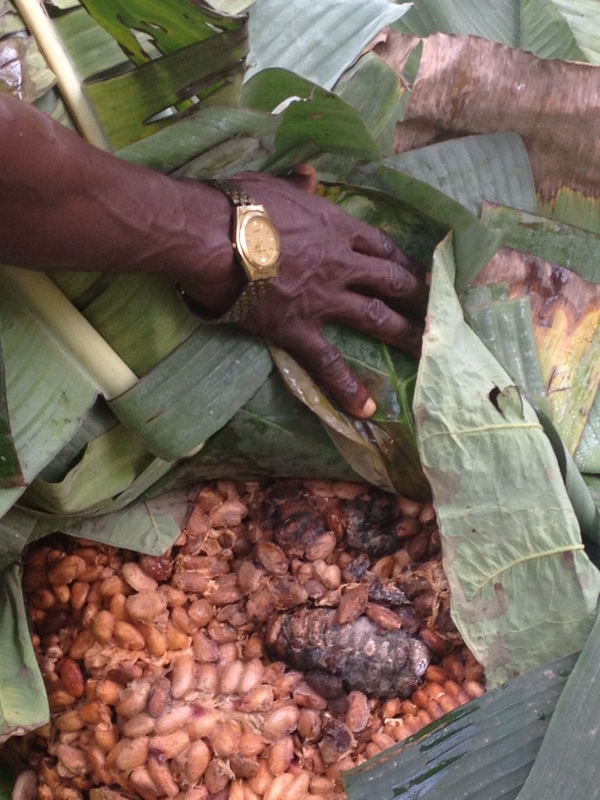 Nana Aggyei Bada showed us how the farmers break open the pods and ferment them inside banana leaves, carefully sealing the cocoa inside the leaves to ensure sufficient heat is created for fermentation to occur. 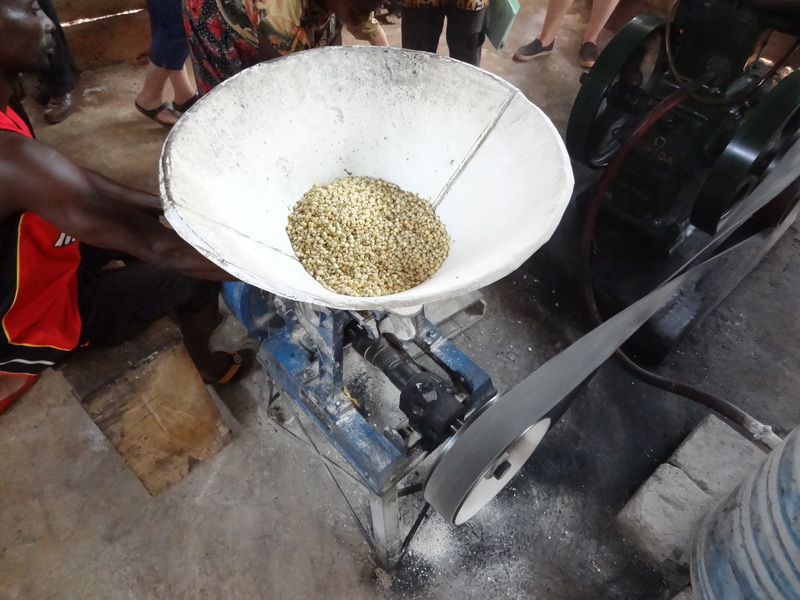 Once the beans are fermented, they are brought back to the homes of farmers to dry- we were shown the process by Richard Agyapong, who churned the beans and picked out those of inferior quality. The last thing we were shown was the corn mill that the society had bought through the assistance of Kuapa Kokoo 4 years ago. Before the mill, farmers and community members would have to travel long distances to grind foodstuffs, but now they had a space in the center of the community to take care of it. 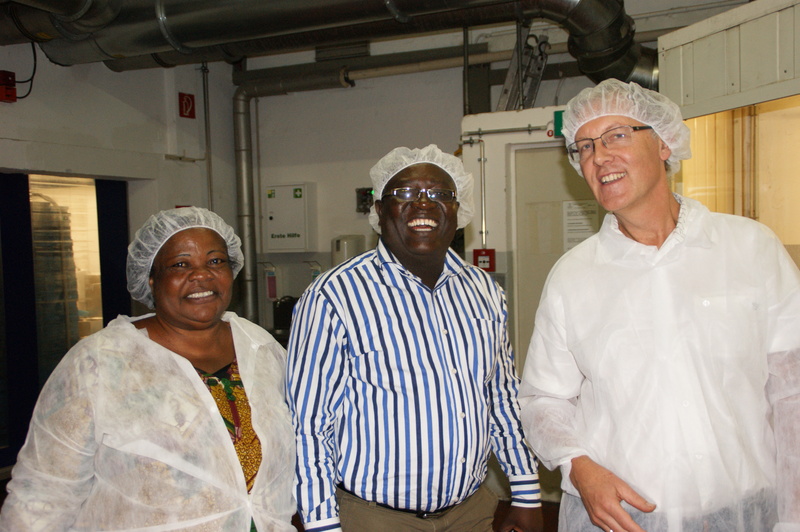 Isaac Kronkiye, the man who manages and maintains the mill, showed us the process. A very happy chocolate taster! 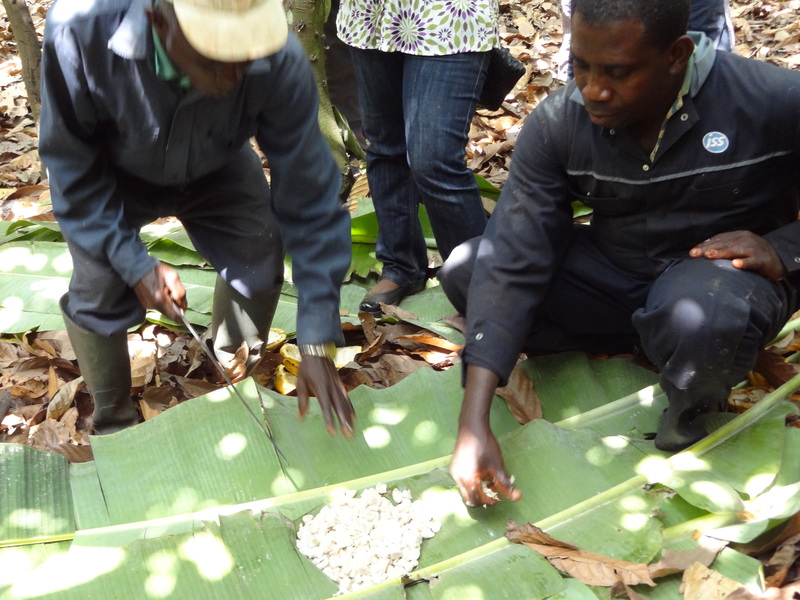 We thanked the farmers of Awaham Society for taking the time to show us the careful process of cocoa harvesting and share their stories of what it’s like to be members of Kuapa Kokoo. We left them with a tub of milk chocolate to share amongst the community so that they could each have a taste of the chocolate company that they co-own. The next couple of days were filled with meetings at the Kuapa Kokoo headquarters and seeing the sights of the incredible city of Kumasi. Kumasi is home to the largest street market in Sub-Saharan Africa, and we were overwhelmed with the sights and smells of this bustling market. I also picked up a good amount of fabric to take home! Just minutes before we hopped in the car to head to the airport, Monica Dadzie, the manager of Kuapa Kokoo’s gender program, showed us some incredible batik work that a women’s group had recently been working on- how Divine! My first trip to Kuapa Kokoo was a truly incredible experience, and after working at Divine Chocolate for just over a year now, my inspiration to share the Divine story to the consumers of the US is fully renewed. Here’s to a fabulous 2012 for Divine Chocolate! While we were in Ghana for the Kuapa Kokoo AGM, Sophi and I met up with the new Gender Policy manager Monica Aidoo-Dadzie. 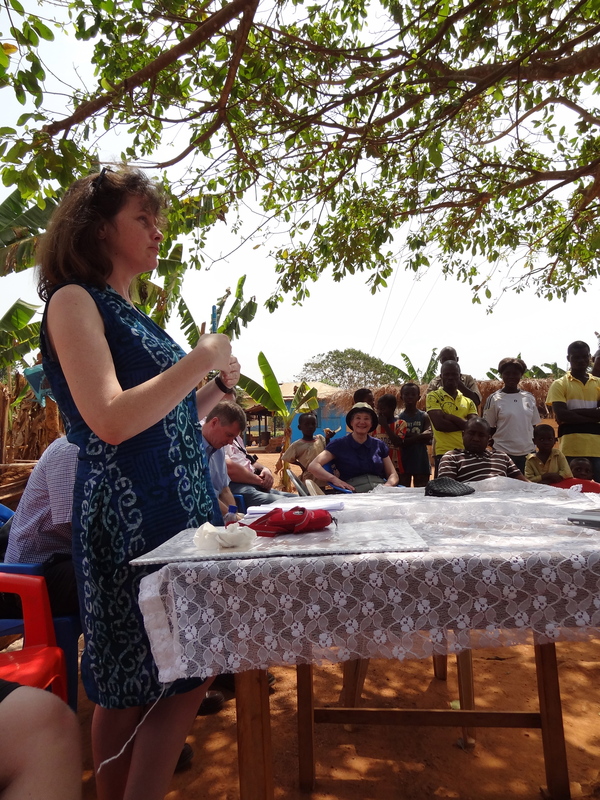 She joined six months ago and has already visited all 46 Kuapa Women’s groups and will be working closely with them. 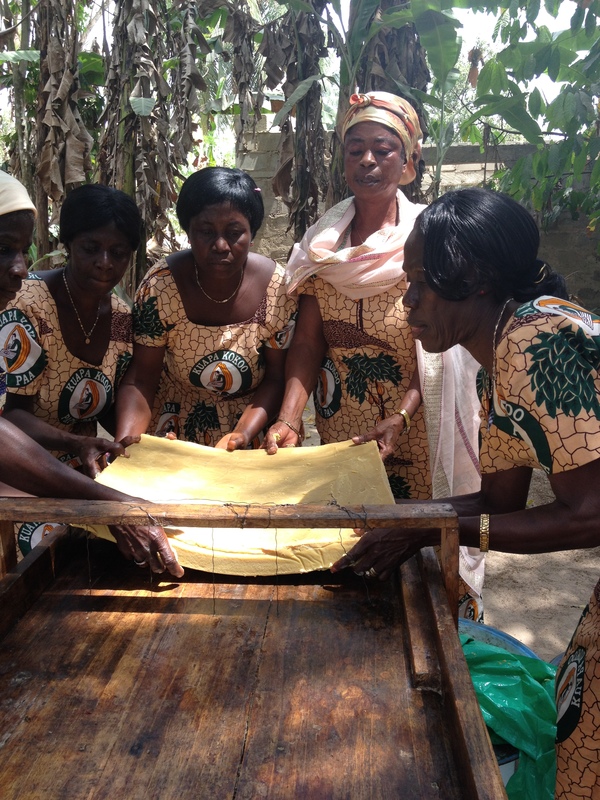 In her office she had some wonderful samples of batik made by the Amankwatia Women’s Group (I remember meeting them on one of my first trips – now their leader Juliana Fremah is on the National Executive – I knew she was destined for great things!). We ended up buying two shirts (see Seth from Twin wearing one of them here), Sophi bought a dress (here she is wearing it when she planted a cocoa tree at New Koforidua), and I bought some fabric, which the local miracle seamstresses transformed into a dress overnight that I could wear to the AGM. 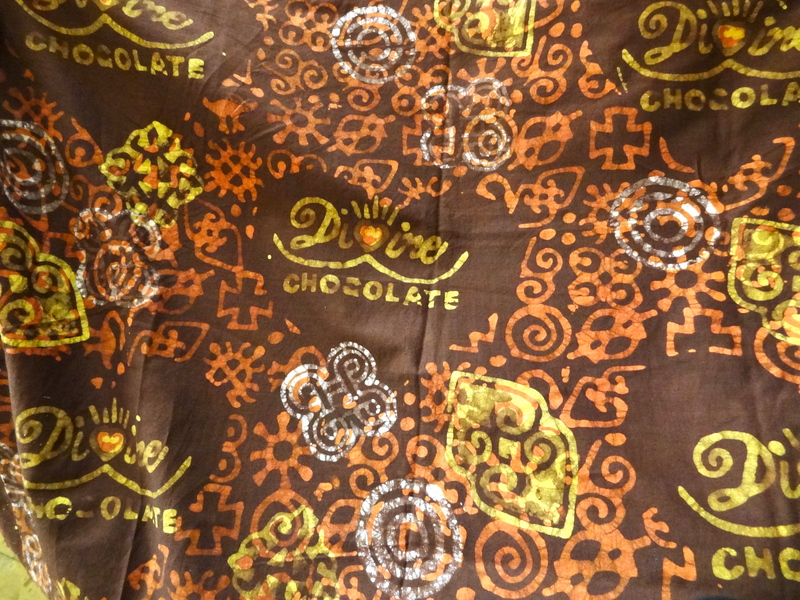 Most of the pieces we saw feature the West African Adinkra symbols you can also see on Divine packaging. 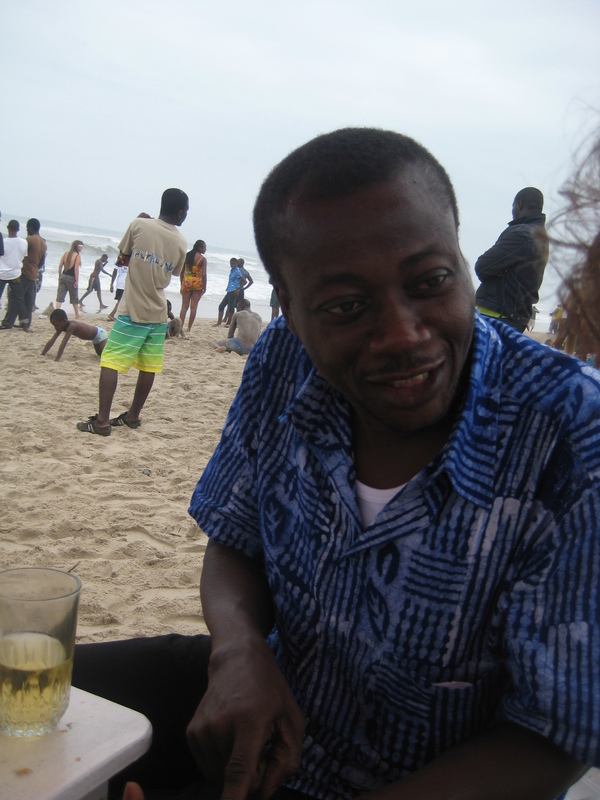 There were lots of other designs and styles – we think they have great potential….. hope that with a little more development and marketing they can sell more in Ghana – and beyond. With 25kg of my 46kg luggage allowance taken up with Divine products, I had plenty of chocolate for the farmers; after all they’re the folk who put the hard work in to make sure the beans we use are of the best quality possible. A packed KLM flight and a short delay reduced our wait in Amsterdam to an hour and as we arrived at our gate we found Ger from Kinsale distribution and Melanie from Fairtrade mark Ireland just arrived in from Dublin. Quick introductions and then through security with the infamous full body scan! Our excitement overshadowed the turbulence we experienced flying over the Sahara and I couldn‟t quite believe that I was finally going to visit the cocoa farms and see for myself the positive impact Divine has on the farmer’s communities. Arriving at Accra we collected our cases and changed £ for Cedi about (2.4= £1) and headed out for the shuttle bus to the Shangri-La hotel. The dark streets and roads were overflowing with people coming home from work in buses, taxis and tro-tros ( anything that’s not a bus or taxi ); people were selling everything from food , water, tissues, spanner sets and mobile phone holders amongst the traffic. The hotel was only a ten minute ride away; we all checked in, had a quick wash and met for a chat about what we all expected from the trip. 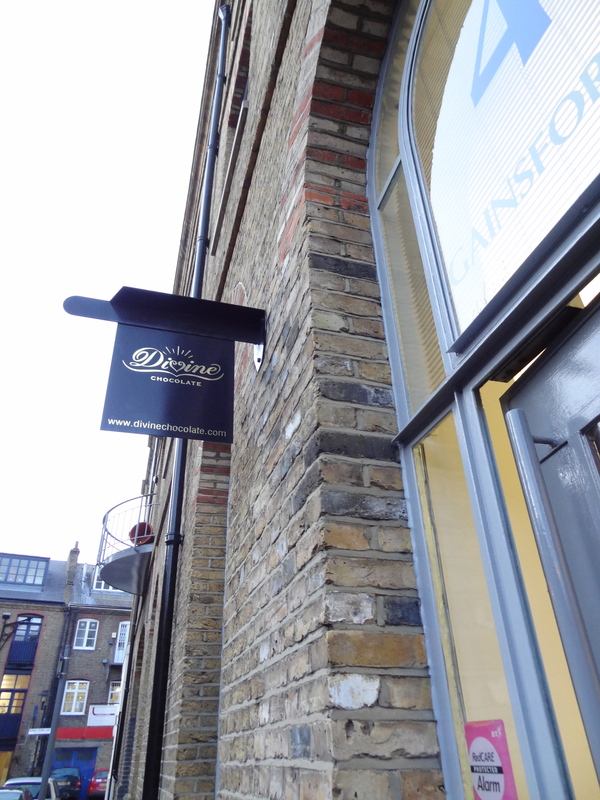 For me this was the opportunity to see, touch, smell and generally immerse myself, albeit for a short time, in the motivating force behind my role as National account manager with Divine, and take some of what I experienced back to the UK. The day started at 5:30 in 21 degree heat with a mini bus trip through Accra polo club and to the domestic airport to take our flight to Kumasi. We had to endure a short wait sitting as close to the fans as possible to keep cool and enjoying people-watching, seeing everything from oil riggers covered in tattoos, and business men dressed in smart suites. We all went through the security checks and boarded our small plane for the 35 min city link flight north to Kumasi, Ghana’s second city. Once airborne we got the chance to see the city from the air, giving a fantastic view of the village structure and nested groups of huts and farms. We were greeted by the whole team: Mr Buah (past president) Madam Christiana Ohene Agyare the new President, members of the executive and Nanna Kwaku Bio; there were some familiar faces – I’ve met Comfort and Erica in UK and seen Kwabena on Skype. After we introduced ourselves and our reasons for visiting Kuapa Kokoo co-operative I gave a chocolate tasting session that was translated so all could enjoy the masses of chocolate I had brought with me; they all loved the dark and raspberry chocolate. Regiana gave us an excellent presentation on Kuapa Kokoo co-operative explaining why Kuapa Kokoo co-operative was set up, its values, aims and structure as well as the latest anti child labour programme that’s been rolled out this month to teach adults and protect children in the region. This was something I was particularly interested in seeing, given the recent focus by the UK media on the use of child labour in cocoa farms. 1pm: We all boarded the bus and headed out to Bayerebon number 3, travelling against the flow of traffic north out of Kumasi. The streets were packed with people selling things. Shops that unfolded from crates and parasols at the side of the road or gardens filled with car parts. Women carrying large bowls of nuts, fruit and bags of water on their heads, brightly coloured clothes and numerous European football shirts added to the melee. The scene took me back to pre-earthquake Port-au-Prince in Haiti, a place I have visited many times. Unlike Haiti, however Vodafone appear to rule here as their logo was everywhere, with entire blocks of flats covered in the familiar red and white logo; Coke too is everywhere, with the whole toll booth festooned with the brand. We travelled for around 2 hours on the road, dodging potholes, coaches and taxis then turned off onto a dirt track travelling through countryside villages spotting cocoa farms with tables full of cocoa at different stages of drying. We drove for a further two hours through trees and shrubs and fields of corn, the road sometimes tarmac, other times just hard mud. The scenery was breathtaking and the experience was enhanced by the smell of burning fields occasionally wafting into the car. We eventually arrived at Bayerebon no.3 and the familiar face of Elias Mohammed the Kuapa Kokoo co-operative society recorder whom I felt I already knew so well having seen his video on the Divine website explaining what a recorder does. I have told his story many times. Elias Mohammed is a 52 year old cocoa farmer, and is a member of the Kuapa Kokoo co-operative living in Beyerebon3. 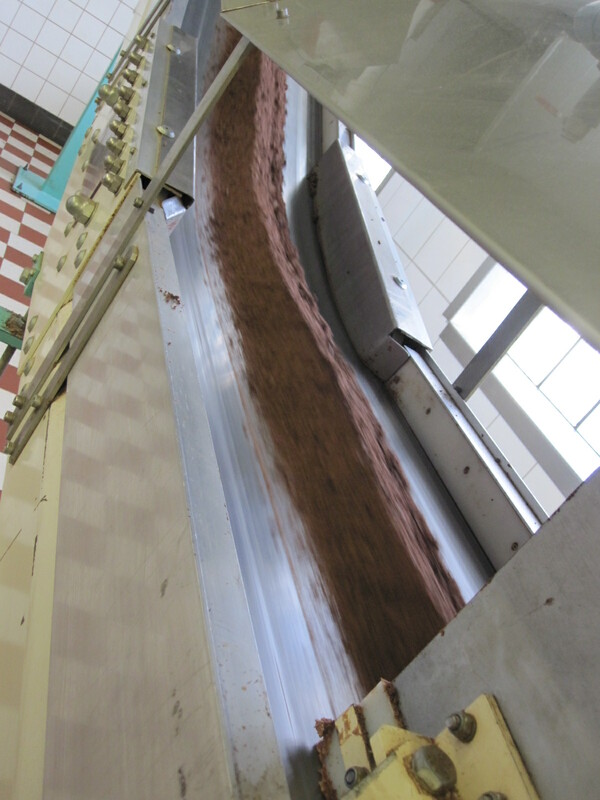 He has two and a half acres of farming land producing about twelve bags of cocoa a year. He has five children and has been able to send them all to the school in the village built with Fairtrade premiums. Two have now gone on to senior secondary school. The whole village came to meet and greet us asking us our reasons for visiting and then explaining what benefits they have enjoyed since becoming members of Kuapa Kokoo co-operative. The president of the society went on to tell us that the school they have is all down to Kuapa Kokoo co-operative and the Fairtrade community here is growing, the people who live here are now proud to say we live in Bayerebon3 the one with the Bayerebon 3 Kuapa Kokoo co-operative. This was wonderful to see and hear and made me realise how Haiti could benefit from Fairtrade. We walked for about ten mins in 38 degree sun into the forest and to the farm where we were shown cocoa growing along side of cocoa yams, palms and plantains. Elias then explained and demonstrated how to care for the farm telling us the importance with each bag earning the community some more money. 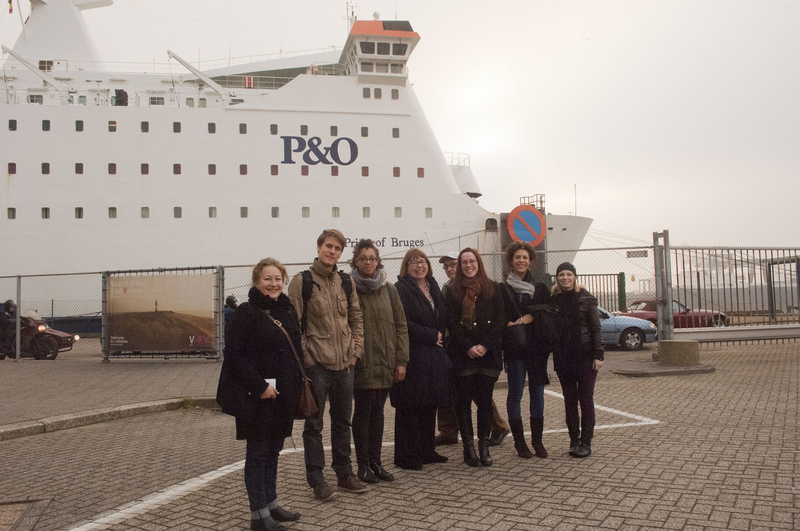 We saw the positive impact of Fairtrade at the school we visited which had been paid for through the Fairtrade premium. I was struck by the passion the children had for education. They learn from an early age that education is the key that can take whole communities out of poverty and I felt saddened that in the UK we don’t always appreciate the privilege that we have of free education. I met another person I felt I already knew – 14 years-old Jennifer Oforiwaa Kusi. Jennifer lives in Bayerebon 3 village. Her father is a cocoa farmer and a member of Kuapa Kokoo, and her mother runs a shop selling basic food stuffs such as rice. 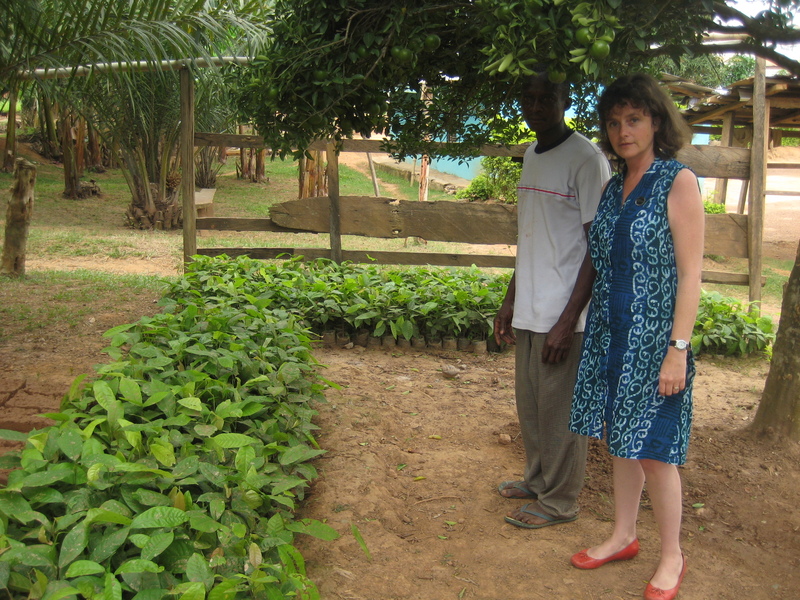 Jennifer knows a bit about the role Fairtrade plays in her community – “Fairtrade supports Kuapa,” she says. “Fairtrade means my father gets a bonus. 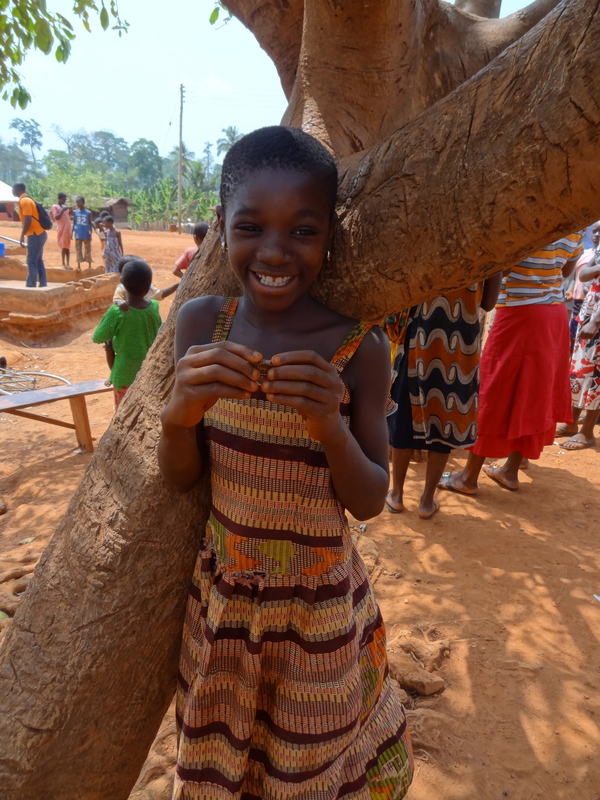 And I got to go on one of the kids camps that Kuapa Kokoo organises for children of cocoa farmers.” We meet the headmaster and pupils who told us the impact that Fairtrade makes in their lives. He told us that the teachers are paid extra by Kuapa Kokoo co-operative to offer extra help in subjects where the students need it. The children asked me what football team I support. I live near Leeds, so I said “its Leeds United” but unsurprisingly no one had heard of them. Who is your favourite player? I told them my favourite Ghanaian who played for Leeds is Tony Yeboah. They all knew Yeboah. What is your wife called? How old is your son? We left Dubble bars for the students, some school books and a new leather football with a pump. Following this we went back to the village and shared some Divine chocolate. Then it was back to Rees hotel in the dark, a quick wash and a drink at the bar before dinner; we were the only people in the restaurant that had a Chinese themed menu – 2 veggi meals and 2 meat dishes that took a little while to arrive but was good. It’s 7 am and the sun is shining; the rest of the group are still in bed, breakfast isn’t until 8 am. It’s a great way to start the day! Back into the restaurant to a breakfast that consisted of toast, an omelette and tea or coffee – so that’s 4 toast and omelettes please! We walked round to the Kuapa Kokoo co-operative office and set off for our next community. After about 1.5 hours driving we turned off onto a red dusty track and waved to passing people who were carrying a whole host of things to and from the market houses. We arrived at Awaham Kuapa Kokoo co-operative society which is a 25 minute drive from Effiduase in the Ashanti region, to be greeted by Juliet the secretary of the society and some of the executive members. Juliet explained that the women of the community wanted to have a corn crushing mill to take some of the back breaking work out of preparing cornmeal. The nearest mill was 2 miles away so they made a request to Kuapa Kokoo Farmers Trust (KKFT) which manages the invested Fairtrade premium, and were successful. The corn mill project was commissioned on Thursday, July 15 2010 at an estimated cost of GH¢ 5,900. 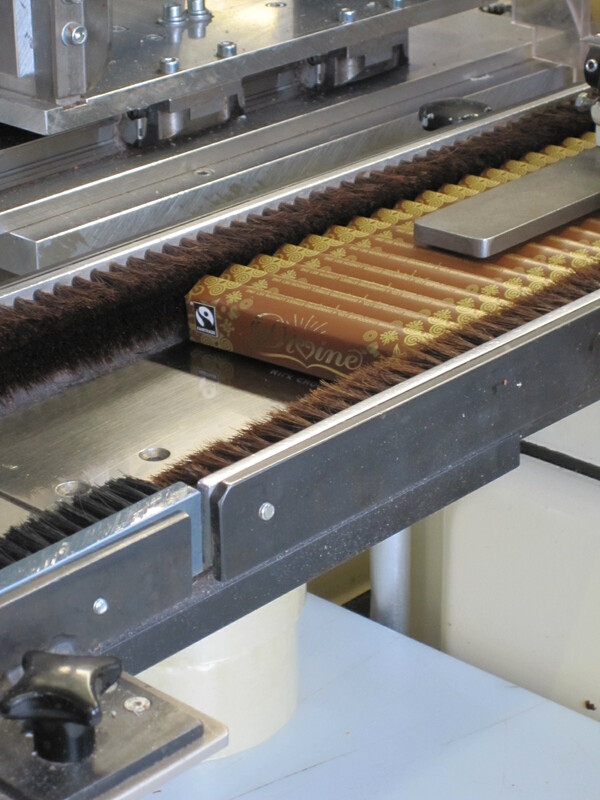 I asked if it was important to the members that they own a chocolate company themselves; she replied by saying: “it makes us all very proud to supply the best cocoa for the best chocolate and because we own it we get more of the profits which helps the whole village‟. Again after stating our reasons for wanting to visit we shared some chocolate and went to the school leaving behind a football and some more chocolate. 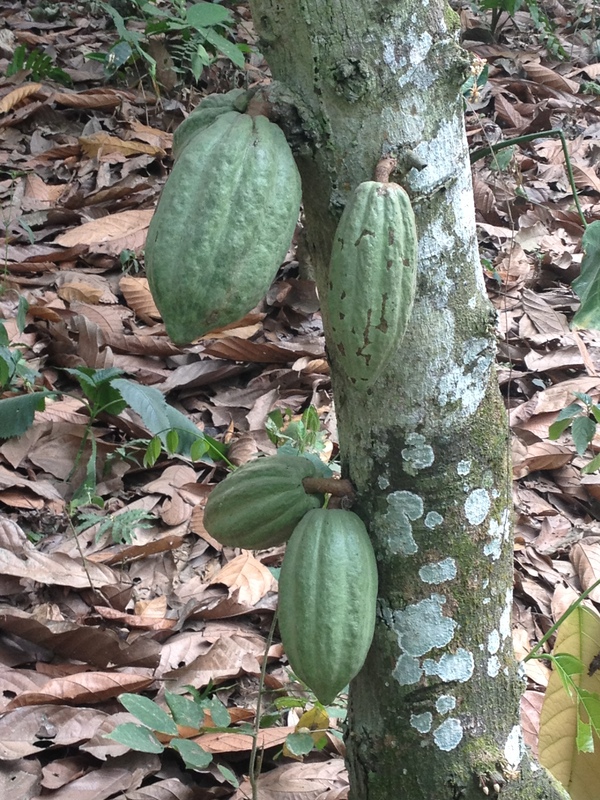 I was overwhelmed by the desire for chocolate, despite growing and farming the most essential ingredient, people rarely have the opportunity to taste it for themselves. They are excited that it is Kuapa’s chocolate. 40 degree heat. Juliet usually goes to the farm at 7:30 am, returning around 3:30 pm and often eating there. Juliet took her handbag with her into the farm; I asked her what Ghanaian ladies carried in their handbags “a machete” she replied to my surprise. The heat was oppressive on the farm, which is understandable as it is in a rainforest. We had lunch with Wiafe Akenten the regional depot manager. Wiafe explained the collection and shipping point to us which is where all the local societies send the cocoa for QA testing and onward shipping. The day we were there, government inspectors were checking quality and moisture levels. I gave Wiafe an old mobile phone which he was delighted with. The similarities with Haiti in this respect are striking, despite many places not having 24 hour electricity, they do have mobile phones. Wiafe and I reflected how access to information had revolutionised lives. Last stop on our long day was a cultural shopping break where we saw the skilful weaving of Kente cloth, a royal and sacred cloth held in high esteem in the Akan family and the entire country of Ghana. Some of the cloth had taken 2 years to weave and cost 600 GH¢ but scarves were only 15 GH¢. Young boys asked our names and while they were talking skilfully weaved our names on bracelets. Then said “here I have one for you, no prices, just give me what your heart says”. Again this was reminiscent of Haiti where we would be surrounded wherever we went with people trying to sell us baskets, carvings and embroidered linen some good some not so good. Our last day. We had breakfast, packed our cases and Comfort’s son Gordon collected us for a trip to see beautiful Lake Bosomtwe, 35km south of Kumasi in the Ashanti region of Ghana. Lake Bosomtwe is the largest natural lake in Ghana and is encircled by rugged mountains thickly vegetated, reaching an altitude of more than 600 metres. The lake is cared for by the 24 local villages and in the visitor centre we learnt of two theories about its formation; one that a huge meteorite formed the lake, another that it is the crater of an extinct volcano. Whatever the reason it is absolutely stunning. The villagers around the lake (numbering approximately 70,000) fish for tilapia that is deep fried and sold on the shores. 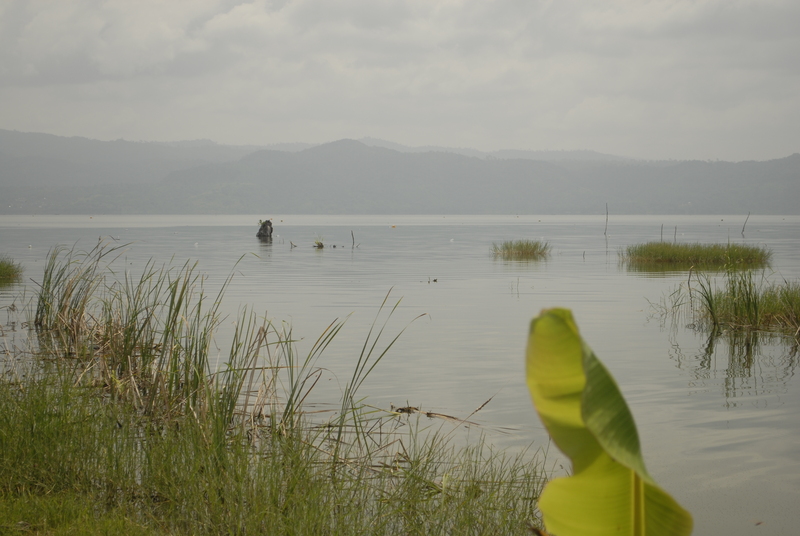 The Ashanti people consider the lake itself to be sacred. According to belief, the souls of the dead come to the Lake to bid farewell to the God Twi. Because of this, it is only considered permissible to fish in Lake Bosumtwi from wooden planks. Kumasi is the capital city of the Ashanti region, and historical centre for Ghana. We visited the Manhyia Palace, the seat of the King of Ashanti and members of the royal family in the northern part of the city. The Palace has a courtyard and a courtroom where matters dealing with the constitution and customs are deliberated upon the traditional council. We also saw the monument Kuapa Kokoo has commissioned to commemorate the significant role cocoa farmers have played in the social and economic history of Ghana. Most people in Ghana have cocoa farmers to thank for their education as cocoa has been such a significant income generator over the last century. The statue is on a roundabout in central Kumasi designed by Samuel Tachie-Appiah. Kumasi is home to the largest market in West Africa. Unfortunately we were short on time so had to suffice with a ride around the central market. Stall after stall, were lined next to each other for miles in every direction, 12 hectares in all. The crowds were endless and the salesmen appeared at times to be aggressive. The best way I can describe the scene is to imagine a mega mall packed to the rafters with jumble sale stalls the Saturday before Christmas! So what were my overall impressions of the trip? I have been with Divine for 5 years but have been passionate about Fairtrade as a recognised means of lifting communities out of poverty for much longer. I have visited Northern Haiti on numerous occasions and for me Haiti represents the “before” to the Kuapa-Kokoo’s “after” and I can see how such a cooperative could have an immense effect on Haitian communities. To witness the positive effects of fairtrade on the community is a real privilege and the welcome I received was immensely humbling. I know that I will take this experience forward into my work and because of it be better able to communicate the vision that is Divine.